Have your New Year Resolutions started to lapse? Don’t despair, you are not alone! Many of us approach the start of New Year wanting to make some changes – but we don’t factor in the reality of life! In my experience, and that of most of my clients, resolutions don’t work! When we set a resolution, we aim to solve a problem (resolve) so we are already taking a negative approach. We try to use willpower to stay on track then beat ourselves up when we hit a blip. Change is not a straight line, it is a process of successes and failures. Only by setting goals which drive us to success, can we focus on the end results and be motivated to take consistent action. You don’t have to wait until January to set goals. In fact your best goals will be set TODAY! 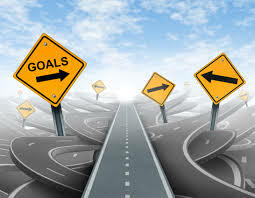 You may have heard of SMART goals already, but have you heard of DRIVEN © goals? Smart goals are Specific, Measurable, Attainable, Relevant and Timebound. They help us to take a logical approach and to create a conscious plan. However, logic is not enough to motivate us. More than 95% of what we do and how we do it is driven by our sub-conscious and un-conscious minds, not our conscious mind. By harnessing this power we will stay motivated and DRIVEN©. Just follow these 6 stages for setting goals and you will be DRIVEN to success! Desire: Every goal starts with a desire for something different or better. It might be something you want to be, something you want to do, or even something you want to have. Goals are little more than dreams at first -they only exist in your imagination and have very little detail. Real: Once you have that desire and the dream is starting to form, try to visualise the details. What exactly do you want to achieve? How will you know when you have reached it? How will you feel when you have accomplished it? How will your life be different? Inspirational: How do you feel when you think of your goal? Do you really want to achieve it even if it is going to be a challenge? Do you know of anyone else who has already achieved it? Often the greatest inspiration can be found in the same place as where the original idea was sparked. Values: Our values are the principles which make us who we are. If a goal conflicts with these it is mostly likely to be destined for failure! For example, if your goal is to be CEO of a company, but your true value is creativity, then aim to be a CEO of a creative company!! Exciting: Excitement is a great motivator and helps us to achieve our best. How can you make your goal into an exciting game? Each little win towards it should be celebrated, and each little set-back should be a lesson learned to guide and keep you on track! Necessary: Why do you really want to reach this goal? What would happen if you didn’t? If your goal isn’t necessary and worthwhile, find one that is! Once you have a DRIVEN goal – you can focus on achieving it. Being SMART is good, but not good enough! If you want to drastically improve performance in your personal, professional or business life, then Coaching is for you! Choose from a variety of programmes, virtual (Skype or Telephone) or face to face.